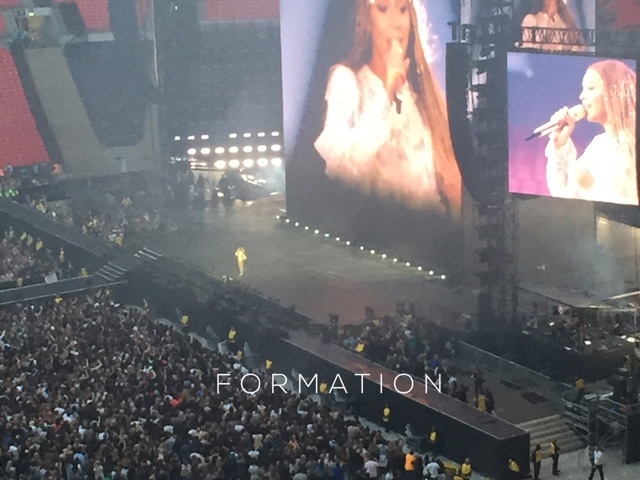 To commemorate the day I saw Queen Bey slaying and basking in all her vocal/dancing/physical perfection. Seriously, she is so flawless is she even for real. Lemonade album favourites include Formation, Don't Hurt Yourself and Sorry because Queen Bey is just so cool and empowering when she's angry. Half the setlist were older songs like Yoncé, Partition, Diva plus a medley of old old songs and Destiny's Child. And whether the cheating rumours are true or not (Solange and elevator tho...) Dear Beyoncé, you don't need no man.